We had the opportunity to spend last weekend in Majorca. 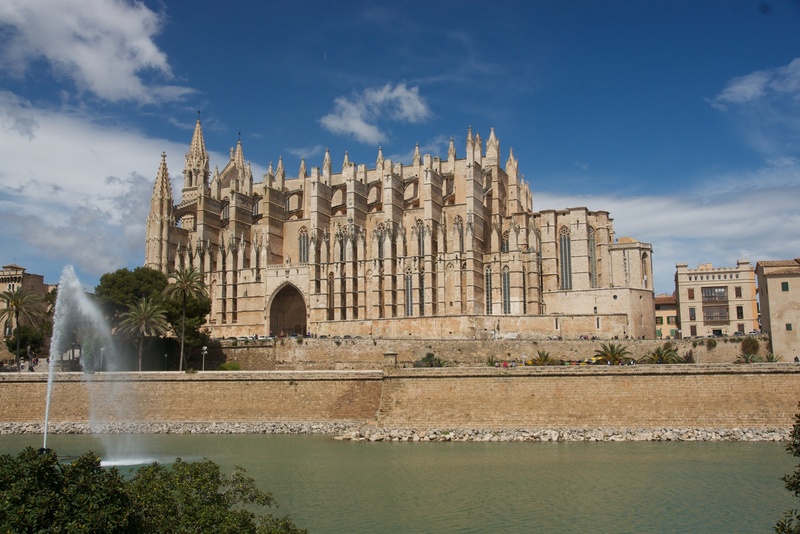 The weather was ‘mixed’ at best but we did some a few snatches of sunshine, and it was an opportunity to visit Palma Cathedral amongst other places. I’m not sure I’m hugely attracted by the Cathedral from the outside. It certain has presence and sits on the coast with a great view out to sea (and a long standing navigation point for ships approaching the harbour). 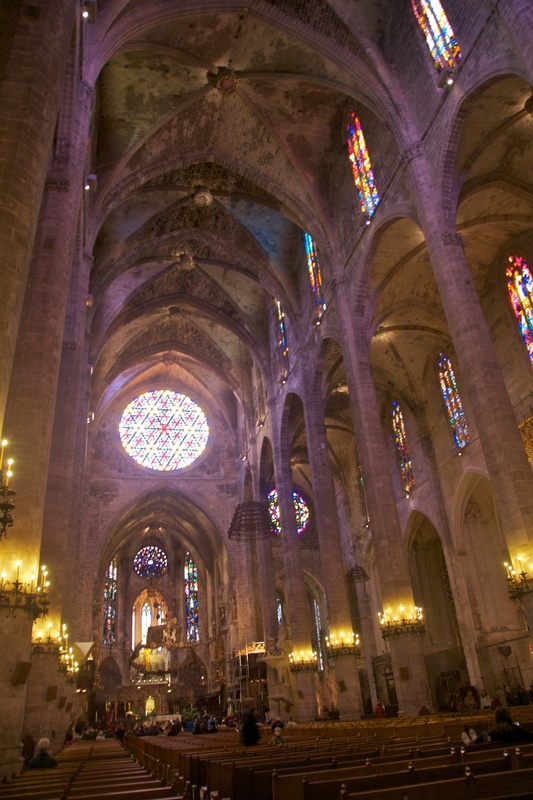 It took some 400 years to build, stating around 1229 and is clearly on eof the great cathedrals of Europe. Inside the external bulk makes more sense is the builders decided to use huge external buttresses to keep the internal columns very narrow whilst still being one of the tallest cathedral naves in Europe. rather a mess to me; but perhaps that’s my Protestant ethic at work. And more changes are in hand at the moment to ‘modernise’ the cathedral. I’m not sure they are a good idea. 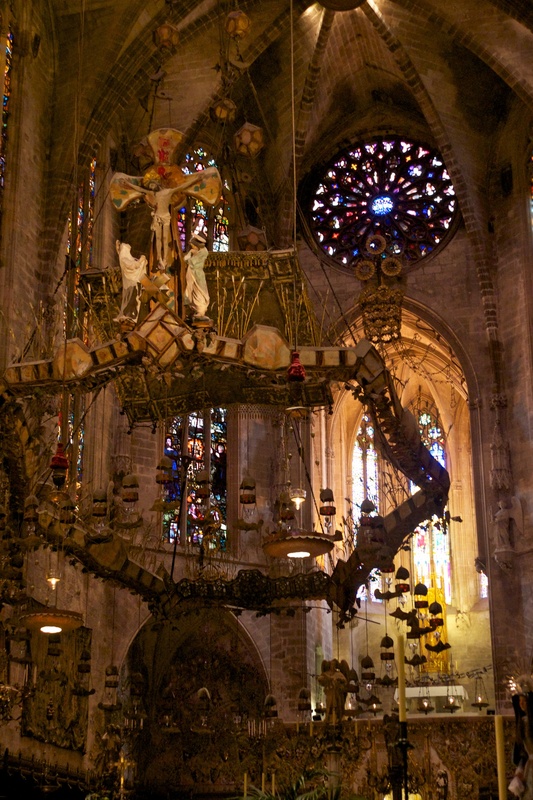 Posted in Architecture, Photography, Spain and tagged Majorca, Mallorca, Palma, Palma Catherdral, photography, Spain. Bookmark the permalink.